In the Basic Cityscape Challenge, we drew three rows of randomly-generated buildings, creating a 3D effect by drawing the buildings in the back smaller and darker. In the first stage of the Animated Cityscape Challenge, we draw the sky behind the buildings, changing the color of the sky to simulate nightfall. Because we are extending the program for the Basic Cityscape Challenge to animate the drawing, it's important to understand how that program works. We start by drawing a gray rectangle (color '#CCCCCC') for the ground beneath the buildings. Then, we use the drawBuildingRow() function to draw three rows of buildings. The first row of buildings is positioned at (0, 280) and drawn at 60% scale, the second row of buildings is positioned at (0, 300) and drawn at 80% scale, and the third row of buildings is positioned at (0, 320) and drawn at 100% scale. Inside the drawBuildingRow() function, we use the scale parameter to calculate the color of the buildings in the row. The smaller the scale, the darker the buildings. Then, we use a while loop to draw buildings the width of the canvas. To draw a building, we randomly generate the number of office units per floor, the number of floors, the type of windows, and the type of roof for the building and pass those values into the drawBuilding() function. The randomInteger() function is used to generate random integers, switch statements inside the drawWindow() and drawRoof() functions are used to draw the four different types of windows and roofs, and nested for loops are used to draw windows in each office unit in each building. Please make sure you fully understand the program in the example below before continuing on in this challenge. If you need help, visit the Basic Cityscape Challenge and its relevant lessons. The sky behind the buildings is not a solid color. During the day, the sky is white along the horizon and bluer higher up. At night, the sky is gray along the horizon and darker higher up. And as the sun sets, the sky along the horizon turns red. We create a linear gradient by passing the createLinearGradient() method the coordinates for the gradient's start position and end position. 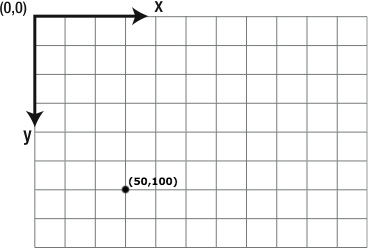 Because the two points, (40, 0) and (360, 0), form a horizontal line, the linear gradient is horizontal. It starts at x = 40 and ends at x = 360. The y-coordinates of the two points in a horizontal linear gradient don't make a difference as long as they are the same. This sets the color in the gradient at x = 40 (position 0) to 'Red' and the color at x = 360 (position 1) to 'Black'. We also set the color at x = 232 (position 0.6) to 'Blue'. This position is 60% of the way from position 0 to position 1. 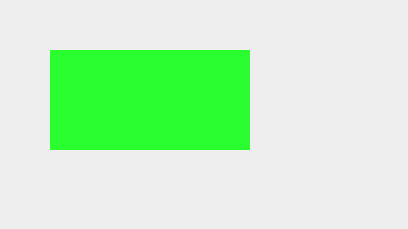 Finally, we assign the linear gradient stored in the variable gradient to the context.fillStyle property and use the context.fillRect() method to draw a filled rectangle. Between position 0 and position 0.6, the color filling the rectangle changes from 'Red' to 'Blue'. Between position 0.6 and position 1, the color changes from 'Blue' to 'Black'. Change the colors in the gradient, change the position of the middle color stop, or add another color stop with a position between 0 and 1 to see what happens. 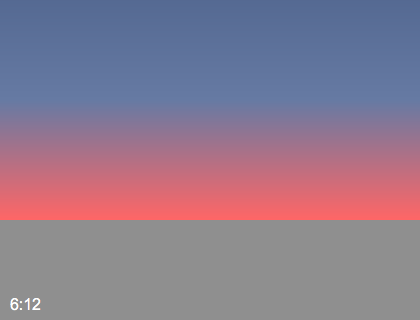 To learn more about linear gradients, visit the createLinearGradient() lesson. Declare a variable named horizonY and assign it the value canvas.height - 100. This sets the y-coordinate of the horizon 100 pixels above the bottom of the canvas. Define a function named drawSky(). 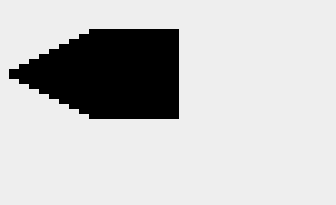 Inside the function, create a vertical linear gradient so position 0 is at the horizon and position 1 is 300 pixels above the horizon. Note that the y-coordinate of position 1 may be negative and not visible on the canvas. Set the color in the gradient at position 0 to 'rgb(255, 85, 85)', the color at position 0.3 to 'rgb(102, 119, 153)', and the color at position 1 to 'rgb(68, 85, 119)'. Fill a rectangle with the gradient positioned at (0, 0) going down to the horizon and across the width of the canvas. Since the drawSky() function is setting the context.fillStyle property, make sure to save and restore the drawing state at the start and end of the function. Then, use the drawSky() function to draw the sky. This is approximately how the sky will look at 6:20 pm once the cityscape is animated. var canvas = document.getElementById('animated_cityscape_stage1_challenge1'); var context = canvas.getContext('2d'); // DECLARE AND INITIALIZE THE horizonY VARIABLE HERE // CALL THE drawSky() FUNCTION HERE TO DRAW THE SKY // DEFINE THE drawSky() FUNCTION HERE // INSIDE THE drawSky() FUNCTION, CREATE A VERTICAL LINEAR GRADIENT // FROM THE HORIZON TO A POINT 300 PIXELS ABOVE THE HORIZON. // SET THE COLORS IN THE GRADIENT. // USE THE GRADIENT TO FILL A RECTANGLE POSITIONED AT (0, 0) THAT GOES // DOWN TO THE HORIZON AND ACROSS THE WIDTH OF THE CANVAS. The colors used to draw the sky in Challenge 1 are the colors of the sky at 6:20 pm in the animated cityscape. However, the colors of the sky are slightly different at 6:10 pm and 6:30 pm. Because we change the color of the ground and sky forty times between 5:00 pm and 7:00 pm, we need an easy way to calculate these colors automatically. In this example, we use two for loops to draw two rows of rectangles. The first for loop uses the variable i as its counter. Inside the for loop, we use an if statement to calculate the height of the rectangle depending on the value of the counter. Note how the height of the rectangle starts at 40, climbs steadily to 100, and then levels out again. We want the ground and sky colors to change in the same way as the sun sets. When the program reaches the if statement, it checks the first condition. If i < 6, the height of the rectangle is set to 40. If the first condition is false, then the program checks the second condition. If i > 15, the height of the rectangle is set to 100. If both conditions are false, then the program runs the code block in the else clause and the height of the rectangle is set to the value of 40 + 60 * (i - 6) / 9. 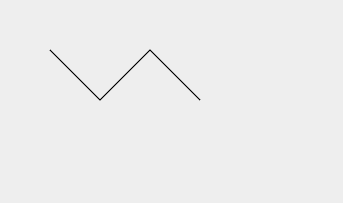 The expression 40 + 60 * (i - 6) / 9 is designed to increase from 40 to 100 as i increases from 6 to 15. Note that (6 - 6) / 9 = 0 when i is 6 and (15 - 6) / 9 = 1 when i is 15. 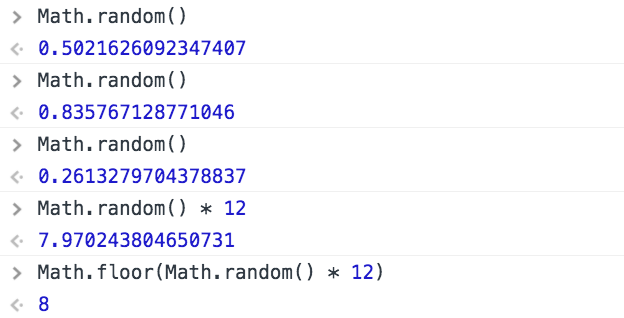 In the second for loop, we design the expression inside the if statement so the height of the rectangle decreases from 160 to 50 as j increases from 3 to 10. Can you update the second for loop so the height of the rectangle decreases from 150 to 90 as j increases from 8 to 13? The drawGround() function will draw the rectangle for the ground using darker shades of gray as the time increases from 5:00 pm to 7:00 pm. Because we are calculating RGB values based on the time, we start by defining the rgbColor() function to make it easy to combine RGB values into a text string in 'rgb()' notation. The rgbColor() function has three parameters: r, g, and b. Round the values stored in the three parameters using the Math.round() function and combine them into a text string in 'rgb()' notation using the + operator. Then, return the text string from the function using a return statement. If you need help, examine the drawBuildingRow() and randomInteger() functions in the Basic Cityscape Challenge program at the top of the page to see how we combined values into a text string to describe a row's building color and how we returned randomly generated integers from a function, or visit the fillStyle and Functions lessons. 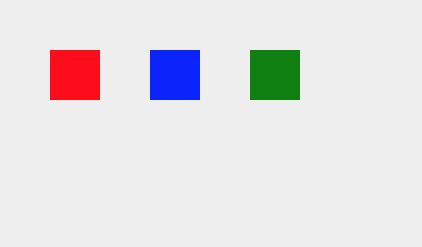 Inside the drawGround() function, declare the variable c. We can use this one variable to store the red, green, and blue values of the ground's color because all three values are the same. If time < 5, set c = 204. If time > 7, set c = 102. If time is between 5 and 7, create an expression so c decreases from 204 to 102 as time increases from 5 to 7. Pass the value of c into the rgbColor() function and assign the color returned from the function to the context.fillStyle property. Remember, c is the value of the red, green, and blue values of the color. Then, use the context.fillRect() method to draw a rectangle from (0, horizonY) to the bottom of the canvas and the width of the canvas. Make sure to save and restore the drawing state since the drawGround() function is setting the context.fillStyle property. Finally, set the value of horizonY so the y-coordinate of the horizon is 100 pixels above the bottom of the canvas. The program should now draw slices of the ground as it gets darker at 5:00, 5:30, 6:00, 6:30, and 7:00 pm. Now we are going to update the drawSky() function so the gradient used to fill the sky also changes depending on the time of day. First, we will make the sky change from blue to dark gray. We will add the red horizon later. Inside the drawSky() function, start by declaring six variables. To keep the function compact, we can declare multiple variables on each line. Just separate the variables with commas and make sure to end each line with a semicolon. The variables r0, g0, and b0 are the RGB values of the color at position 0 in the gradient. The variables r1, g1, and b1 are the RGB values of the color at position 1. If time < 5, set r0, g0, and b0 to 255; and set r1 to 102, g1 to 153, and b1 to 255. 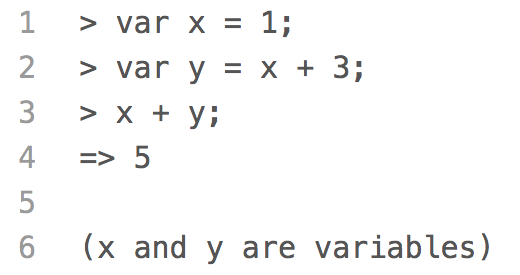 And just as we can declare multiple variables on one line, we can also assign multiple variables on one line. If time > 7, set r0, g0, and b0 to 102; and set r1, g1, and b1 to 51. Finally, if time < 5 and time > 7 are both false, create expressions to calculate the RGB values of the colors at both positions as time increases from 5 to 7. 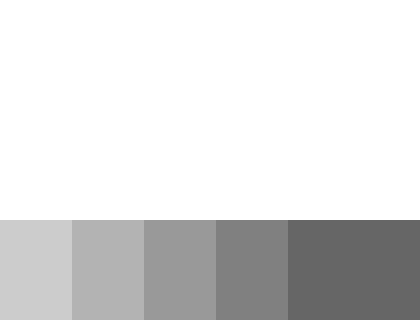 This changes the color of the sky at position 0 from white to gray and the color of the sky at position 1 from blue to dark gray. Now, just as in Challenge 1, create a vertical linear gradient so position 0 is at the horizon and position 1 is 300 pixels above the horizon. Instead of hardcoding three color stops, add color stops at positions 0 and 1 and use the RGB values stored in the six variables to set the colors using the rgbColor() function. Then, set the value of horizonY so the y-coordinate of the horizon is 100 pixels above the bottom of the canvas. The program should now draw slices of the sky as it gets darker at 5:00, 5:30, 6:00, 6:30, and 7:00 pm. To turn the sky along the horizon red as the sun sets, we need to add a third color stop between positions 0 and 1. The third color stop will confine the red color to a narrow band. 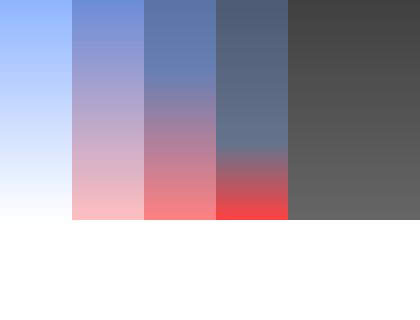 Start by setting horizonY, the y-coordinate of the horizon, and copying the definitions for the rgbColor() and drawSky() functions from Challenge 3. Inside the drawSky() function, declare the variables pMiddle, rMiddle, gMiddle, and bMiddle for the middle color stop. We are using pMiddle to set the position of the color stop. By starting at position 1 and moving down to position 0, it will confine the red color to a narrower and narrower band until it disappears completely. If time < 5 or time > 7, set pMiddle to -1. Why are we setting pMiddle to -1? Before 5:00 pm and after 7:00 pm, we only need to add color stops at positions 0 and 1; we aren't adding a third color stop at position pMiddle. By setting pMiddle to -1, we are letting ourselves know not to add the third color stop later on. In the code block for the else clause, change the calculations for the color at position 0 and add the calculations for the color at position pMiddle. The calculations for the color at position 1 stay the same. This changes the color of the sky at position 0 from white to red and the color of the sky at position 1 from blue to dark gray. We use the middle color stop at position pMiddle to make the red band at the horizon narrower. 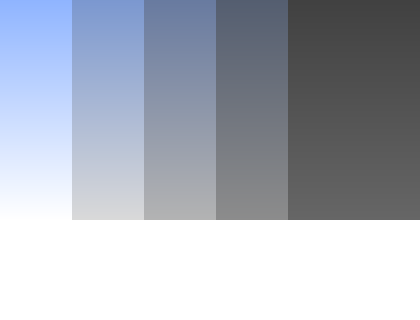 The color of the sky at the middle color stop changes from blue to gray, but it also moves closer to the horizon as pMiddle changes from 1 to 0. After creating the linear gradient and adding color stops at positions 0 and 1, add the middle color stop only if pMiddle >= 0. If pMiddle is -1, the program will skip this step and the middle color stop won't be added. The program should now draw slices of the sky as it gets darker and redder along the horizon at 5:00, 5:30, 6:00, 6:30, and 7:00 pm. If you need help with if statements and linear gradients, visit the If Statements and createLinearGradient() lessons. At this point, we can draw the sky and ground at any time of day by manually setting the time variable. The next step is writing a program which updates the time variable and redraws the scene automatically. We start by storing a reference to the canvas and the canvas's context in the variables canvas and context. Then, we declare the global variables squareX and squareY. We need to declare these variables globally so all of our functions can use them and the values stored in them are persistent and aren't deleted once a function ends. To learn more about variables and scope, visit the Variables lesson. Finally, we call the initScene() function and use the addEventListener() method to register an event listener on the canvas object. Note: "init" is short for initialize. By registering to listen for 'click' events, the program will automatically call the updateScene() function whenever a mouse click is detected on the canvas. Note: Because we are passing the updateScene() function into the addEventListener() method as a variable, we don't include parentheses after the function name. To learn more about passing functions as variables and registering event listeners, visit the Functions and Event Listeners lessons. Now we can automatically update the drawing on the canvas simply by clicking on it. Note that the new scene is drawn on top of the existing scene. If we wanted to redraw the square and make it look like the square is moving, we'd have to clear the canvas first. Write a program that increases the time and redraws the scene when a mouse click is detected on the canvas. Start by copying the definitions for the drawSky(), drawGround(), and rgbColor() functions from Challenges 2 and 4. Inside the initScene() function, set time to 5, set horizonY so the horizon is 100 pixels above the bottom of the canvas, and then call the drawScene() function. Inside the drawScene() function, draw the sky and ground. Then, call the drawTime() function to automatically draw the time in the bottom left corner of the canvas. Inside the updateScene() function, increase the time by 0.2 if time < 7, else reset the time back to 5. Then, call the drawScene() function to draw a new scene on top of the current one. Press "Run" and click on the canvas enough times to see the sky and ground change color between 5:00 and 7:00 pm. Once you feel satisfied that the scene is updating and drawing correctly, mark the challenge as complete by selecting "Yes, it looks good". Instead of using a mouse click to update the time and redraw the scene, we are going to use a timer. In this example, we set up a timer to update the scene from the previous example. We start by declaring the global variable interval. Then, instead of adding an event listener to the canvas object to detect mouse clicks, we use the setInterval() method to create a timer that will automatically call the updateScene() function every 25 milliseconds and we store a reference to the timer in the variable interval. Again, because we are passing the updateScene() function into the setInterval() method as a variable, we don't include parentheses at the end of the function name. The number 25 tells the timer how long to wait before calling the updateScene() function again. The setInterval() method measures time in milliseconds and there are 1000 milliseconds in one second. So, if the timer calls the updateScene() function every 25 milliseconds, it will update the scene 40 times per second (1000 ÷ 25 = 40). Inside the updateScene() function, we increase squareX and squareY by 3 and 2, instead of 30 and 20, so the square doesn't move as far in each update. Then, if squareX > canvas.width, which means the latest square is positioned past the right edge of the canvas, we cancel the timer and stop updating the scene by passing the reference stored in the interval variable into the clearInterval() method. 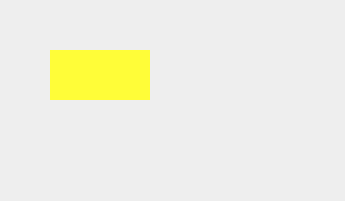 Finally, inside the drawScene() function, before drawing the square, we draw a rectangle filled with the color 'Cornsilk' covering the entire canvas. This will cover the previous scene, so now it looks like one square is moving instead of a new square being drawn each time. Press "Run" to reload the page and start the animation. See what happens if you don't draw a rectangle over the previous scene or if you change how far the square moves or the time interval between updates. Note: if you try to update the scene too quickly, the program won't be able to keep up and the animation may stutter. To learn more setting timers, visit the setInterval() lesson. Copy the program from Challenge 5. Then, change the program so that, instead of listening for mouse clicks to update the scene, a timer automatically calls the updateScene() function every 50 milliseconds. Inside the updateScene() function, increase the time by 0.05 and, instead of resetting the time back to 5, cancel the timer and stop updating the scene if time > 7. Press "Run" and watch the sky and ground change color between 5:00 and 7:00 pm. If you need to slow the animation down to get a better look, increase the time interval passed into the setInterval() method. Once you feel satisfied that the scene is updating and drawing correctly, mark the challenge as complete by selecting "Yes, it looks good". In this example, we add event listeners to the previous example's program to play and pause the scene. We can register our program to listen for more than mouse click events. On a web page, only one HTML element can have the focus at a time. The focus determines which element is actively receiving keyboard events. On this page alone there are thirteen editors. It would get kind of crazy if you were typing into more than one editor at a time. Note: A canvas element does not normally receive the focus. We have enabled each canvas to receive the focus by setting its tabindex attribute. That's not something you need to know about until you start creating the HTML for your own web pages. Because we have enabled each canvas to receive the focus, clicking on a canvas selects it and triggers a 'focus' event. Clicking on a different part of the page deselects it and triggers a 'blur' event. We start by adding event listeners to play the scene when the canvas receives a 'focus' event and pause the scene when the canvas receives a 'blur' event. Instead of starting the timer when the page first loads, we start the timer inside the playScene() function. We also check the position of the last square before starting the timer. If the last square is off the canvas, we reset it's position. 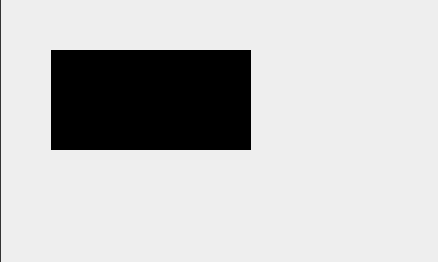 Inside the pauseScene() function, we cancel the timer and draw the text string 'Click to Play' in the center of the canvas so the user knows how to start the animation.  We also call the pauseScene() function when the page first loads so the 'Click to Play' text string is drawn right away. Then, inside the updateScene() function, instead of canceling the timer if squareX > canvas.width, we use the blur() method to blur the canvas. When the canvas loses the focus, it receives a blur event and the pauseScene() function is called. Click on the canvas to start the animation. 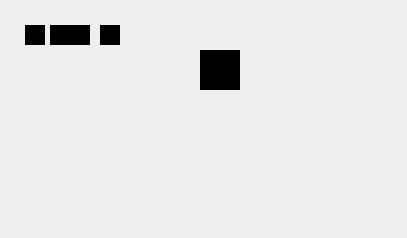 The animation will continue running until you click on a different part of the page or until the latest square is positioned past the right edge of the canvas. 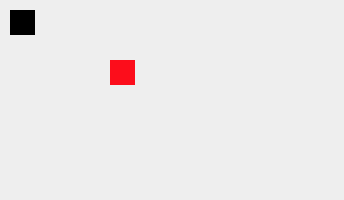 If you restart the animation and the latest square was positioned past the right edge of the canvas, squareX and squareY are reset and the animation starts again from the beginning. Copy the program from Challenge 6. Then, change the program so the scene is initially paused and the time set to 2. Play the scene when the canvas receives the focus and continue playing the scene until the canvas loses the focus or until time > 12. If the canvas receives the focus and the time is already greater than 12, reset the time back to 2 and replay the scene from the beginning. Press "Run" and click on the canvas to start playing the scene. Once you feel satisfied that the scene is playing and pausing correctly, mark the challenge as complete by selecting "Yes, it looks good".